On Friday while out at lunch I found a microSD reader and card in the parking lot of a local Biggby Coffee. While it had been run over, was caked in salt, and appeared to have a cracked microSD card, I decided that I should try and see if it’ll work anyway. Unfortunately, after washing it in water and alcohol and drying it I found that the crack damaged the chip inside. Thus, when placed in a microSD reader, the card wasn’t detected and no data could be read. 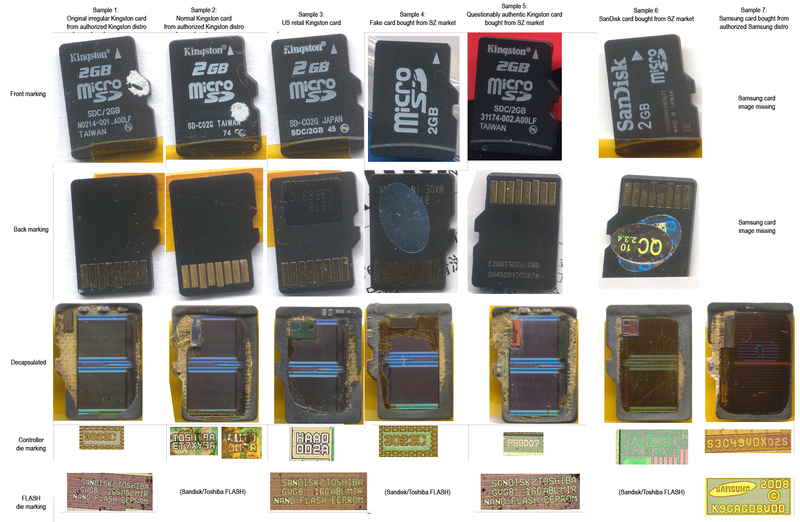 Comparing the image above to this one (from Bunnie Huang‘s excellent article On MicroSD Problems) shows that the crack ran through the area where silicon lies. This photo, where I finished breaking open the card after failing to read it shows a thin silver line which I believe to be the chip itself. If you’d like to see more photos of the microSD card that I found and my attempt at recovering data from it, check them out here: Salty microSD Card.